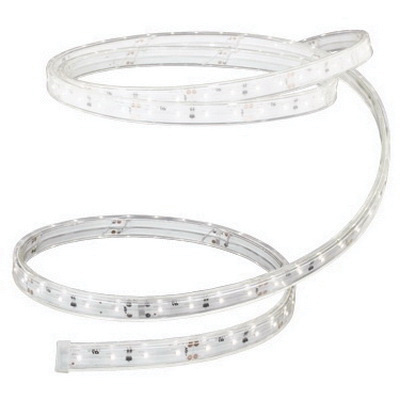 JESCO Lighting Infina™ LED Strip light is an architectural grade, ultra high output, AC LED light strip that delivers 555-Lumens of warm white light at just 4.95-Watts/ft. It has a color temperature of 2700K and CRI of 80+ for superior color rendering. It features bulb life up to 50000 hours. The AC LED technology enclosed in a patent pending optically clear thermoplastic jacket, allows for 150-ft runs and no remote power supplies are required. The strip light can be cuttable every 4-inches.